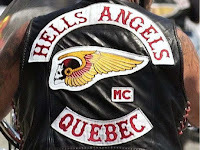 51-year-old Hells Angel Kenny Bédard was killed and nine people were injured after their motorcycles crashed in a "domino effect" while trying to pass a truck hauling a camper trailer near Edmundston, N.B., on Friday night. The accident happened at around 7:30 p.m. across from a campground in Saint-Basile. Police said the nine motorcyclists — eight men and one woman among about 15 from various biker groups, such has Hells Angels, Red Devils and Dark Siders — were attempting to pass a truck pulling a fifth-wheel recreational trailer as it was turning left into a campground. 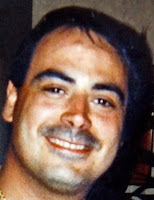 Kenny Bédard became known in the early 2000s during the biker war. 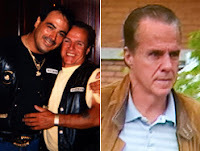 At that time, he was a member of the Rockers. 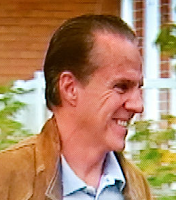 Kenny Bédard was known to control the southwest sector of Montreal. It was recently reported he had agreed to be transferred to the Trois-Rivières chapter to become the sixth member in good standing, the minimum number required to restart activities. The nine other motorcyclists were taken to Edmundston Regional Hospital with multiple injuries. They are expected to survive. The driver of the truck was not injured.